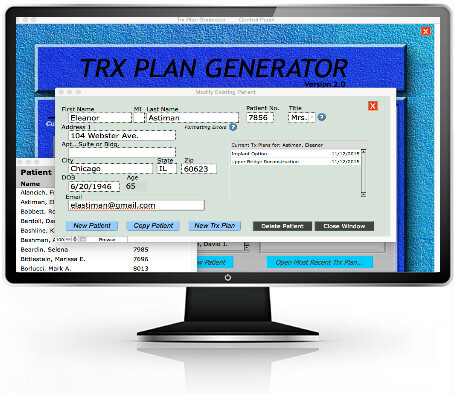 Trx Plan Generator was developed to allow very rapid planning of complex dental procedures in an intuitive and simple manner. Extremely complex plans can be ‘generated’ in a few minutes, by any dentist. 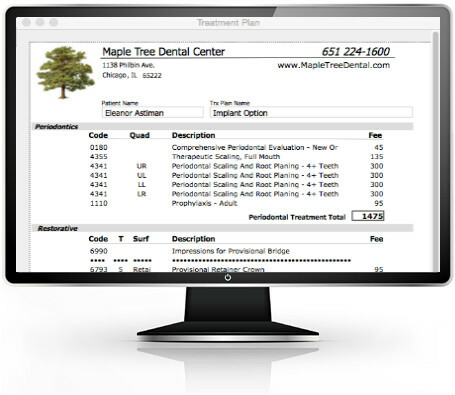 Developed by a dentist, the software focuses on offering rapid entry of necessary information to speed the entire planning process. 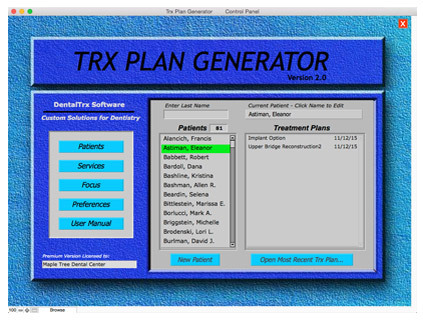 Using Trx Plan Generator, dentists can present multiple treatment options in a way that patients understand. 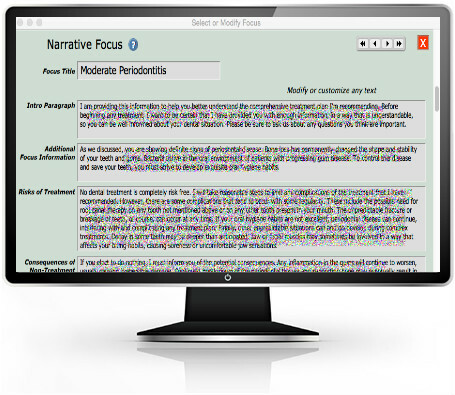 The treatment plan reports are designed to be informative and educational for any patient. 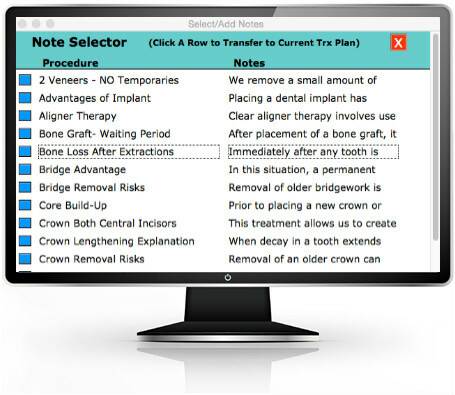 A unique benefit of the Trx Plan Generator software is the Narrative Report, which describes clinical problems, treatment considerations and non-treatment risks. 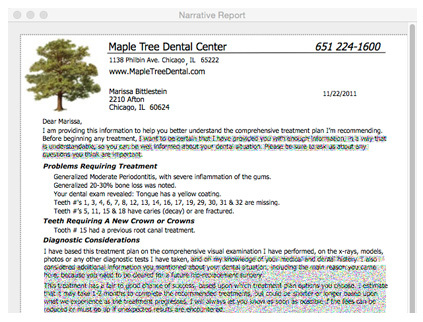 This ‘intelligent’ report is generated automatically, using the dentist’s own words and phrases. Proper documentation is the best way to reduce liability. Trx Plan Generator, provides an additional level of informed consent to protect the dentist from baseless malpractice suits. 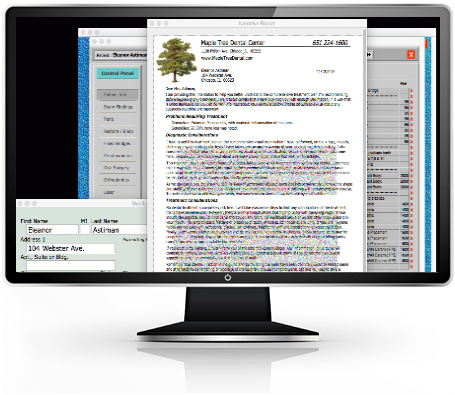 The Trx Plan Generator™ by DentalTrx Software, available for both MACs and PCs, allows any dentist to save time by improving the quality of their patient communication methods. 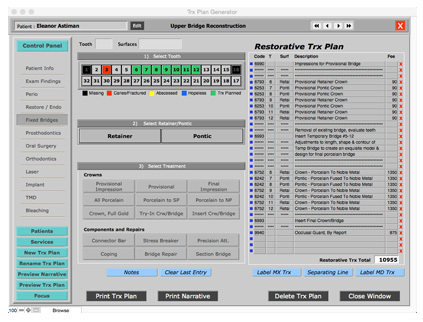 Trx Plan Generator™ permits the creation of complex treatment plans and treatment plan options.